If you'd like some extra help working out the finer details or your renovation, why not make an appointment for an in-store consultation? We can sit down and chat without feeling rushed. Sometimes this can make all the difference. If you'd like some advice about choosing the right hardware, lighting, paint, doors, fireplace or bathroom fittings for your period home and an in-store consultation isn't enough, then we can come to your house and help you. When we have the opportunity to see a customer's house, it often allows us to offer practical advice about details they might not even think about. 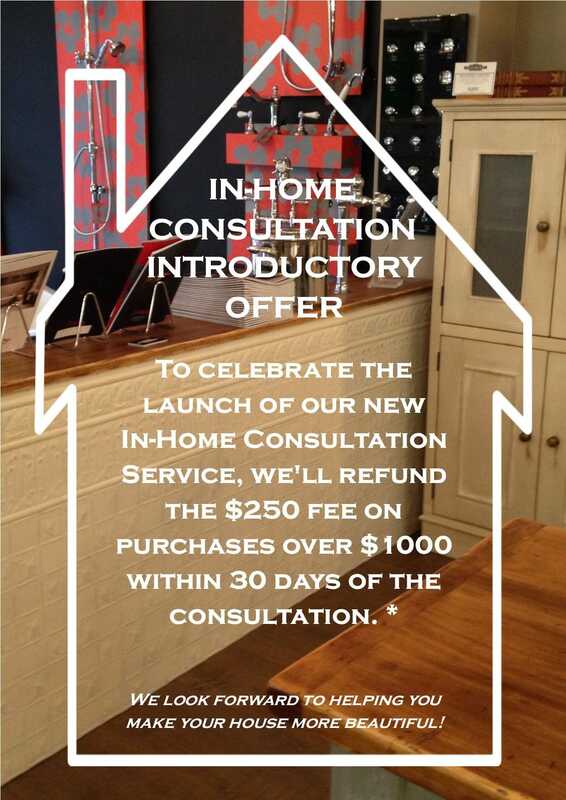 Our In-Home Consultation fee is $250 for a visit of up to 2 hours. Travel fees may apply if your house is beyond 20km of our Hobart store.